The UK government has called for 6,000 civil servants who were tasked with preparing for a no-deal Brexit to "stand down," after it emerged they had cost the taxpayer a whopping £1.5 billion in one year. The civil servants, who are reported to have been working on plans for an impending no-deal Brexit, have been ordered to return to their day-to-day duties, following the extension of article 50 until October the 31st 2019. Sky News was able to obtain an internal email that was sent to the civil servants informing them of the decision, part of which read, "we have stood down our no-deal operational planning with immediate effect. At a meeting chaired by the cabinet secretary, we agreed that the objective is to ensure we wind down our no-deal planning in a careful, considered and orderly way." Hmm, money well spent? Not! What a waste. ​The move is likely to be seen by both those who support leaving the EU and those who want to remain as a signal that a no-deal scenario, often referred to pejoratively as a 'cliff-edge Brexit,' is now very unlikely to happen. According to the Mirror Newspaper, the Department for Transport has said that Theresa May's government is already selling back cargo ferries which it purchased as part of its emergency preparation efforts for a no-deal Brexit. The department has so far spent a staggering £100 million on contracts with firms who operate the ferries. 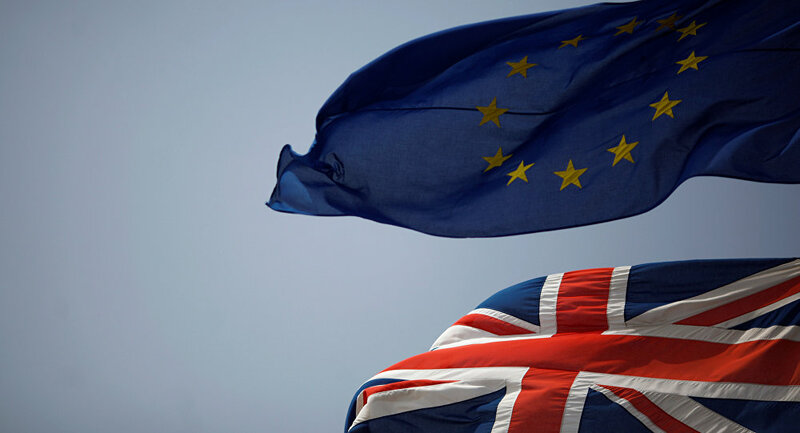 The Brexit minister, James Cleverly, recently admitted that while efforts to prepare for a long-term no-deal prospect are "ongoing," the "imminent no-deal Brexit planning" has now been called off. World of difference between ongoing no-deal preparation (which continues) and imminent no-deal Brexit planning (which stops because of the extension). ​Naturally, the decision has frustrated a number of MPs who see the money spent as having been a complete waste. Wayne David, a Labour MP, has been quoted as saying that, "May's so-called strategy of threatening a no-deal Brexit is in tatters and the taxpayer has been left with a huge bill for all those stupid preparations." Over the past few years, talk of serious ongoing preparations for a no-deal Brexit has been a permanent fixture in British headlines. At the height of those talks, it was revealed that the UK government had ordered about 3,500 soldiers to be ready for the possibility that they may have to be dispatched to the streets if post-no-deal-Brexit anarchy ensued. There was also much hysteria in the British media about the likelihood of major food shortages and low energy supplies if the UK crashed from the EU without a deal. It appears, for now at least, that those scenarios are unlikely to eventualize. A UK government spokesman has been widely quoted as saying that: "As a responsible government, we've been preparing for over two years to minimise any disruption in the event of no deal." "In light of this week's developments, departments will make sensible decisions about the timing and pace at which some of this work is progressing given that the date we leave the EU has changed, but we will absolutely continue to make all necessary preparations," the spokesman added.